1. Too perfect: Alan and Jackie* had perfect teeth. Their parents and siblings had perfect teeth, too, AND flawless skin. They took perfect vacations together and tended a perfectly manicured lawn. They were blessed and happy! Of course, they were only showing parts of themselves they deemed “acceptable.” And, of course, a reader might be put off by a couple that belongs on a magazine cover. I encouraged Alan and Jackie to add dimensions to their profile by getting real and opening up about their dreams and heartaches. Three dimensions is more attracting than two. And REAL is the real draw. 2. Too much: this 20-pager for Debbie and Curt went on and on. It left nothing to be revealed and came across as self-centered. Sometimes more is less and vice versa. 3. Too self-indulgent: similar to the lengthy profile is the us-us-us profile. It is a monologue rather than an invitation to a dialog — a subtle difference. Sunny and Blake each wrote about themselves for several pages, not even acknowledging that there was a reader. Their narratives were not composed out of true egotism, but rather just not knowing how to write about and present themselves in a conversational way. Once Sunny and Blake changed their approach from a “book report” style to something else, their profile got noticed — and chosen. What was this magic style? Instead of each one telling about him/herself (which is hard), Sunny and Blake told about each other (which is easy). Moreover, doing so invited the reader into the profile: You should see Sunny when she’s coaching soccer. The children flock to her like pigeons on bread crumbs. And it allowed the reader to see the couple through loving eyes. 4. Too pretentious (I haven’t actually see this trait in a profile, but I bet it exists): there’s no need to show off the driving range in your back yard or your annual trips to Paris or your collection of sports cars. Such shows of wealth are not what an expectant parent finds comforting — wealth of time and love are. Plus, pretentiousness can build a barrier instead of finding common ground with your reader. 5. Too guarded: while there may be photos and text, the reader is left not really knowing anything about the hopeful parents. Gina and Ken had recently been scammed and were understandably cautious. They wanted to protect themselves from repeated heartbreak. In doing so, they built a wall to keep Bad Things out. But the funny thing about walls is that they are multipurpose. They also keep Good Things out. Throughout their pages, it was clear that Gina and Ken didn’t want to reveal too much about themselves. Reading their profile was the equivalent of trying to have a conversation with a person whose arms are tightly crossed over the chest. Please contact us only if you are serious about an adoption plan. Clearly, this wasn’t a problem that would be solved just by wordsmithing. I counseled Gina and Ken about what a true (not scamming) expectant parent considering adoption might be going through. We talked about the myths surrounding birth/firstparents, and what they could expect to find when working with an ethical adoption professional. A deeper understanding of their intended audience helped them to risk more revelations and invitations in their profile. 6. Too blah: Katie and Gil were careful not to put anything in their profile that was too anything. They were rabid Cornhusker fans, but didn’t want to offend anyone who might back an opposing team. They loved to ride motorcycles, but didn’t want to freak out a reader who might be more cautious. They attended their church regularly but didn’t want to mention it in case theirs wasn’t the same faith as the readers. In short, Katie and Gil hid their lights under a bushel. I interviewed them to find out what made them unique and vibrant and found the qualities mentioned above. Once they revised their profile to show themselves OUT LOUD, it wasn’t long before their profile was chosen as the perfect match for an expectant parent. 7. Too footloose: Sam and Bill’s profile had photos of them on a honeymoon in the Bahamas, toasting each other with umbrella drinks. There was also a photo series of them zip-lining in the cloud forest of Costa Rica, and more of them scuba diving in crystal waters. To round off the seasons, they told about how they loved to ski during the weekends during the winter. It’s hard for a reader to envision Sam and Bill with a child. I asked them to tell me what their lives would look like once they had a child. With their answers, they revised their profile to reflect their future (as parents) as well as their past (as an active, spontaneous couple). I must say a word (or more) about being real. More than scrapbooking abilities, more than a gift with the written word, more than anything else, authenticity is the key to an adoption profile. SHOW WHO YOU ARE. Not who you WISH you were, not who you think someone ELSE thinks you should be, but who. you. are. Imagine back when you first met your spouse. If you misrepresented yourself just to make an initial good impression, eventually your house of cards would fall and your opportunity for love would have evaporated. It was vitally important with a partner, and it’s equally important with the firstparents of your future child: don’t HIDE who you are, but rather REVEAL who you are. And show yourselves in your best light. 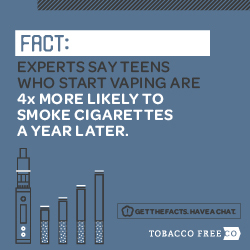 You can find more profile tips here. 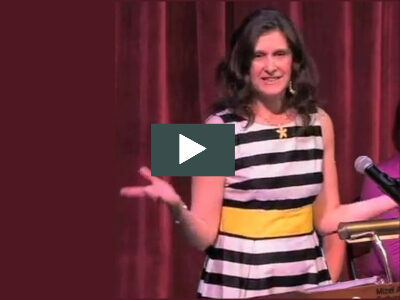 Really great info for prospective parents. What a great post! I would have loved this kind of feedback when writing our profile. I’m going to bookmark this for future reference. Thanks! This is great stuff, really insightful. Thanks, Lori. You totally Rule if you didn’t already know that. 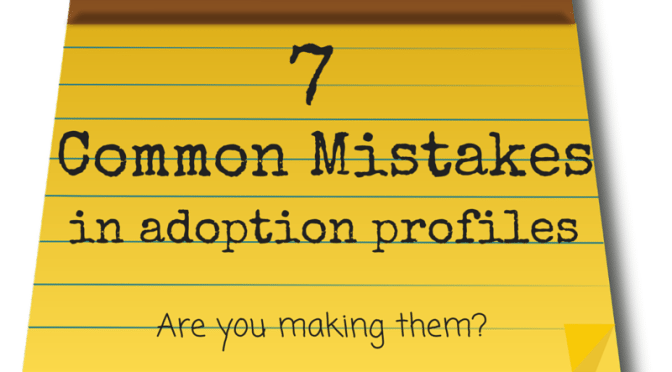 Although I know the adoption process is a long and ardous one, I can imagine that a child and his/her parents will enjoy looking back on a lovingly created profile. Yes! Thanks for this!!! 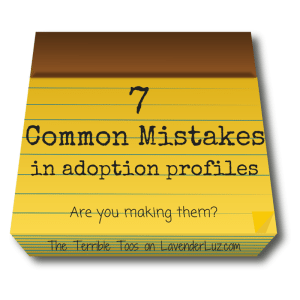 As someone who’s contemplating the adoption process, it’s so good to know some ‘insider tips’…which ultimately sound like the best tip of all “BE YOURSELF”. I guess that’s the best any of us can wish to be. It is so wonderful that you can take your knowledge and insight and apply them to the review of other peoples files. Your caring and understanding I’m sure have helped many through this arduos process. I have an even better understanding of why it is I’m drawn so to your blog — for all these reasons — the real quality of it…your mindfulness and honesty to reveal yourself and your journey. Your tips are sitting somewhere in the back of my head, for if I ever need them! Very interesting stuff. Whenever I learn of someone thinking of adoption, especially domestic, I send them here. our one rule when we started this process was to be authentic — to ourselves and to anyone and everyone else. we knew just what you said — that if someone expected us to be something we were not, it would be based on a lie which can never work in a truly open adoption. 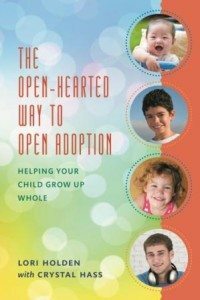 great guidance for any prospective adoptive parent! very interesting and informative. I may link this on my blog. That was me zip-lining, wasn’t it? LOL! I highly recommend Lori’s profile reviews . . . well worth it! Great post, Lori! I loved what you had to say. When we were writing our profile, Beagle sent me the book Reaching Out. I forget who it’s by but the author expounds on some of the points you made here. I found it extremely helpful since I didn’t have post like this to guide me at the time! I’d recommend it to anyone writing a profile for adoption. It’s available on Amazon. Just found your blog via Kirtsy … adding you to my reader 🙂 We are in the process of adopting and just finishing up our profile/letter – ha! What a great post. Thanks for sharing such valuable insight.